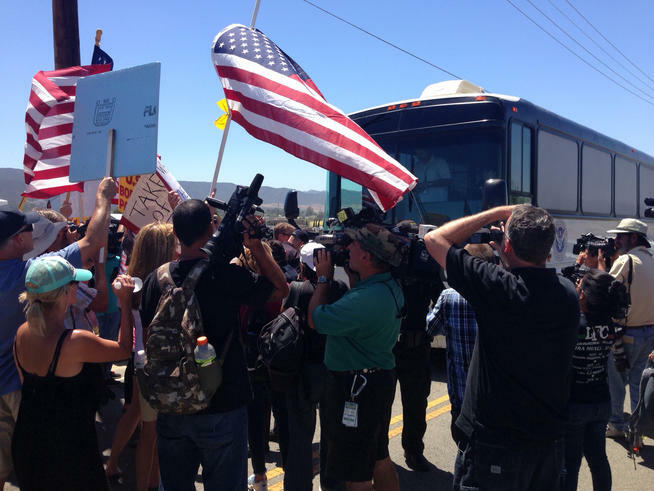 These intrepid protesters actually turned back three busloads of illegal aliens invaders in Murrieta, California, at least temporarily. The protest received national and even some international media coverage. Some of these protesters are also frequent participants of our Impeach-Obama-Now Protests in Southern California. Will keep an eye for Colorado, that way we can do the same. Awesome, we need to stick together, cause if we don’t , we will be in a world of hurt. Oh wait, we already are. Obama makes me sick. All sorts of terrorist’s entering our land just for the express purpose of reaping havoc. Even the children are pawns of the UN being used as vehicles to overthrow our system and bring America down. We are in grave danger.